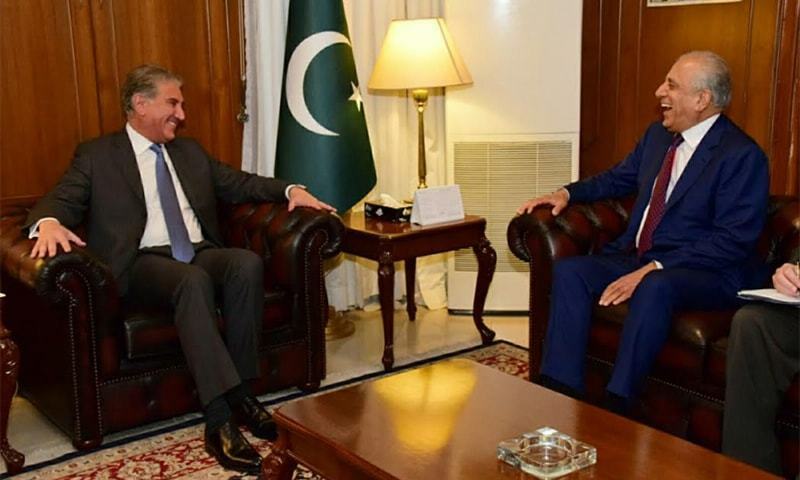 Islamabad: Foreign Minister Shah Mehmood Qureshi and the visiting US Special Representative on Peace and Reconciliation in Afghanistan, Zalmay Khalilzad held talks at the Ministry of Foreign Affairs, in Islamabad on Friday. They discussed the progress achieved so far in the peace and reconciliation process in Afghanistan. The Foreign Minister assured the special US representative that Pakistan will continue its sincere efforts to facilitate the Afghan-reconciliation process to bring peace and stability to the region. He said establishing peace in Afghanistan is a common responsibility of all the stakeholders. Zalmay Khalilzad thanked the Foreign Minister for facilitating the direct talks between the United States and the Taliban. He said the US leadership values Pakistan’s endeavors for peace and reconciliation in Afghanistan. A US-delegation comprising the representatives of American State Department and Defence and National Security Council also attended the meeting.